At CAMX, Abaris’ Louis C. (Lou) Dorworth is presenting a pre-conference tutorial on Monday, Oct. 15, 1:00-4:00 p.m., titled “Enabling Technologies for Bonding and Joining Composites.” He will highlight various composite joining and bonding methods and techniques currently employed in the industry. In addition, Mr. Michael J. 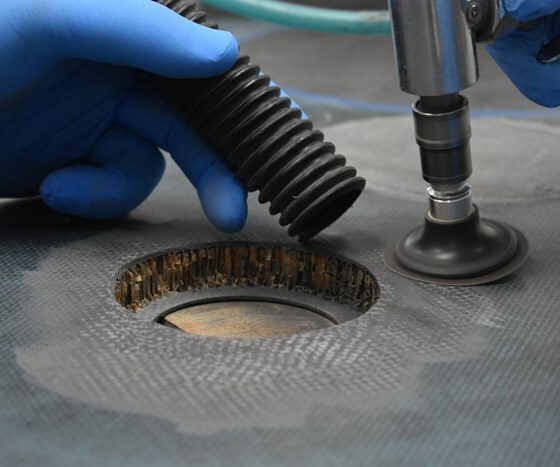 (Mike) Hoke, will be giving a talk titled “Issues of Concern in Composite Repair and Some Newer Developments” Wednesday from 1:00-2:00 pm and moderating a panel discussion titled: “Repair of Composite Structures and Composites as a Repair Solution,” from 2:00-4:00 pm. We will also be talking about our composites manufacturing and repair training services, recent relocation of the Griffin, GA, US, operation to the Composite Prototyping Center’s (CPC) 25,000-ft2 facility on Long Island, NY, US, and our desire to expand our curriculum. Many Abaris Training partners and associates will also be located nearby on the exhibit show floor to answer questions about such products as repair equipment, vacuum bagging materials, additive manufacturing, tooling, laser projection, resins, fibers, prepregs, thermoplastics, and other associated material and process solutions. Booth R48.